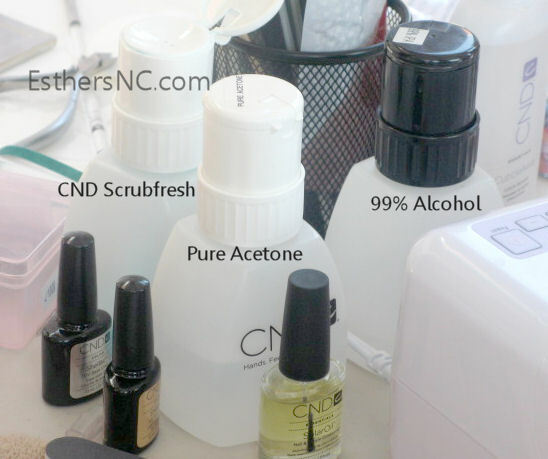 Learn how to apply CND Shellac Nails at home from an experienced CND Education Ambassador, Michele Huynh. I got a lucky chance to have her showed me how to do CND Shellac application on my nails. And I'd like to share this information with our readers below in a simple step-by-step instructions that you can do at home. Basically what you need for doing Shellac at home are listed below. It's recommended to use Shellac as a system to ensure the optimum result. I noticed she used pump bottles to store her liquids to make application process less messy and easier. You can get those bottles at our store too. 1. 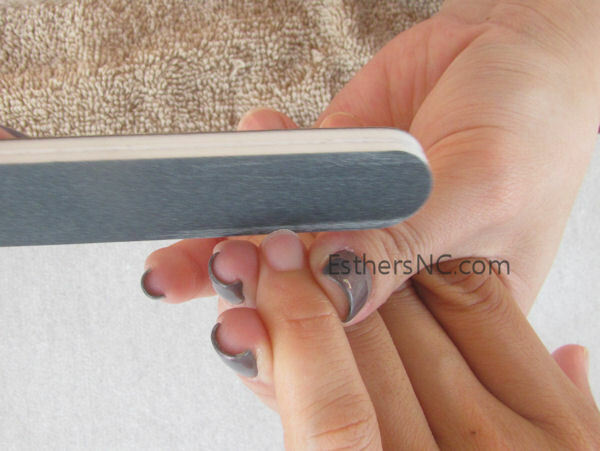 File the edge of the nail with 240-grit nail file, to shape the nail. With CND Shellac, you would never file your nail bed. 2. 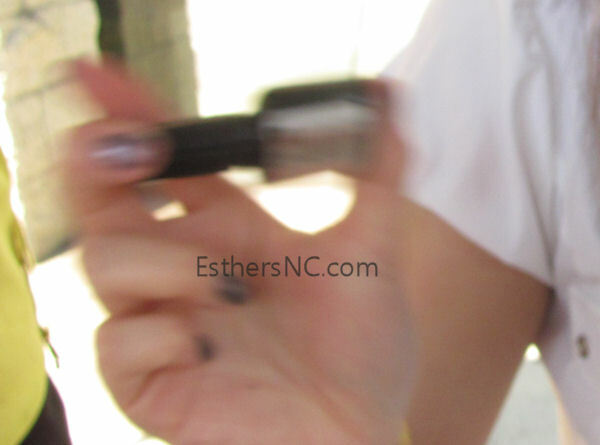 Push back and clean cuticles with cuticle pusher. Notice that this is a dry manicure. 3. 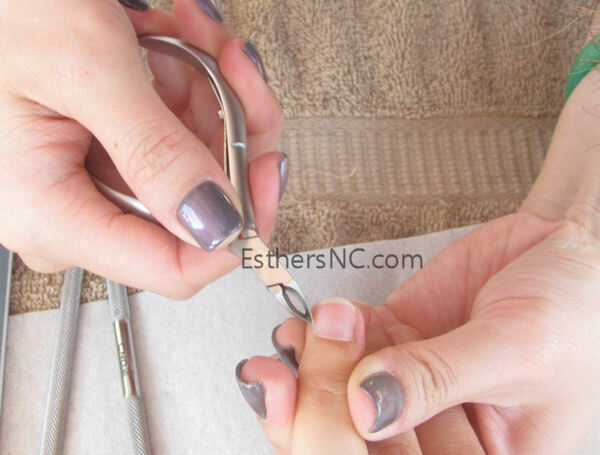 Cut any hang nails or cuticle if necessary with cuticle nipper. 4. Wipe clean nail with lint-free nail wipe soaked with CND Scrubfresh. 5. 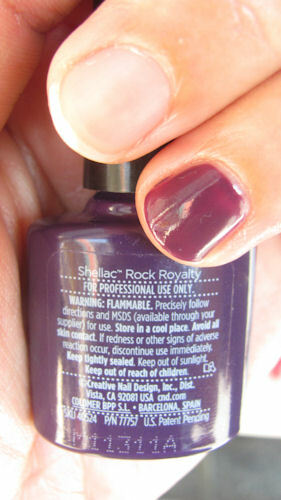 Shake, shake vigorously the CND Shellac Base Coat so the ingredients mix well. 6. 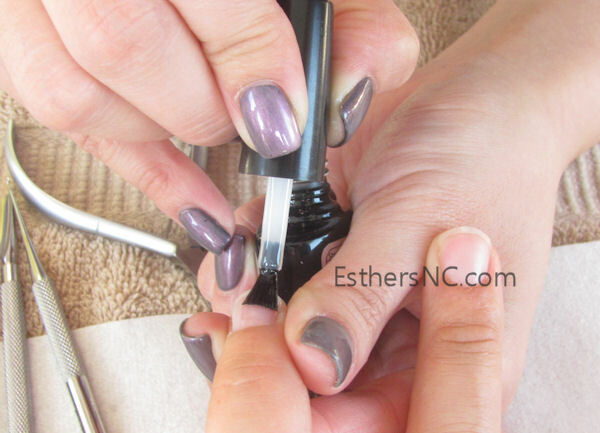 Apply a thin coat of CND Shellac Nail Base Coat. The key to get a good result is to apply every layer thinly, said Michele. 7. Cure under CND LED Lamp for 10 seconds. Make sure to place all fingers in their right places. You'll see the alignment guides on the surface base. 8. 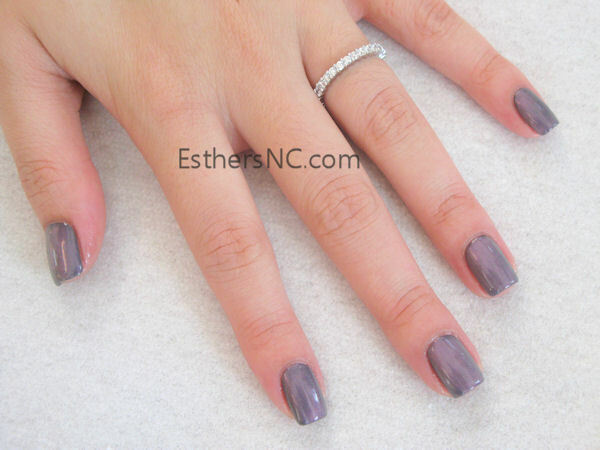 Apply a thin layer of CND Shellac nail polish. In this case, I used Rock Royalty. And cure for 60 seconds under Shellac LED Lamp. To clean the messy polish application on the cuticle or skin, just use the wood cuticle stick to wipe clean. Do it before curing the polish. 9. Apply another thin layer of CND Shellac nail polish. And cure for 60 seconds. If necessary, you can apply an extra layer for full coverage. 10. 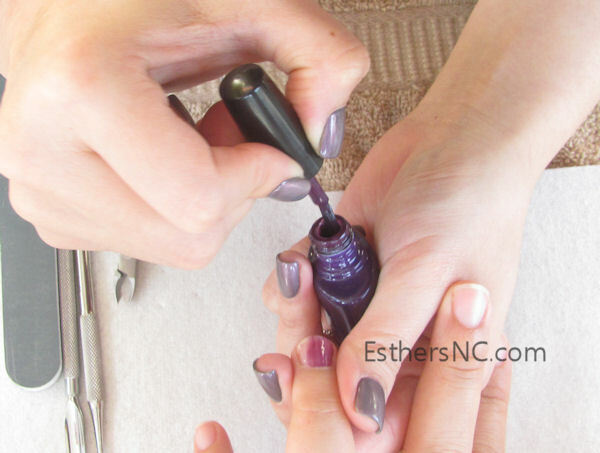 Apply a thin layer of CND Shellac Top Coat. 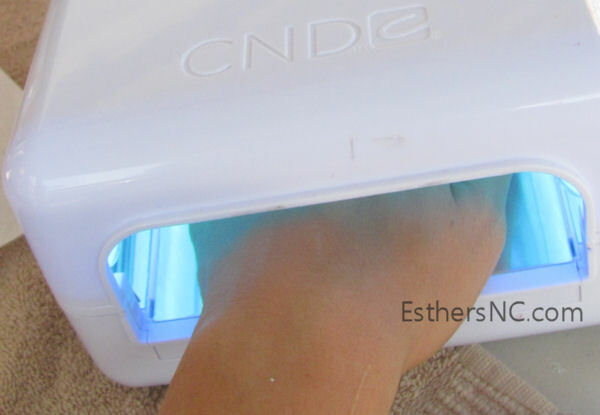 And cure for 60 seconds with CND LED Lamp. 11. Wipe clean the nail with lint-free nail wipe soaked with 99% Alcohol. It has to be 99% Alcohol. If less than 99% it won’t show the full shine. After wiping, the polish should be dry, hard and not tacky. 12. Apply and massage CND Solar cuticle oil on nails. And here’s CND Shellac nail polish Rock Royalty. It’s not uncommon to hear customers complain about her nails getting dry after using CND Shellac. Michele suggests to use CND Solar Oil every day to combat this problem. If Solar Oil is used often, there shouldn’t be problem of dry or splitting nails. Regarding nails that are not cured properly, check the bulbs. Perhaps one of the bulbs is out or they need to be replaced. Also shake, shake shellac coats or polish to make sure the ingredients mix well. 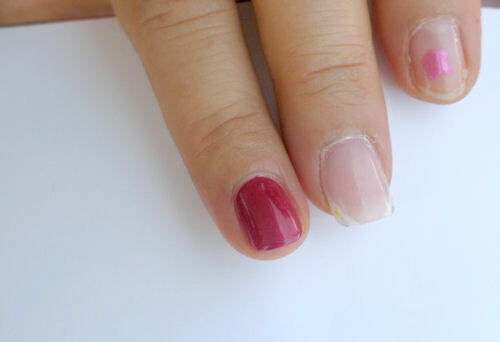 Her choice for French Manicure is Cream Puff or Studio White (an off-white) for the white tip and Clearly Pink and Romantique (more opaque) for the pink. 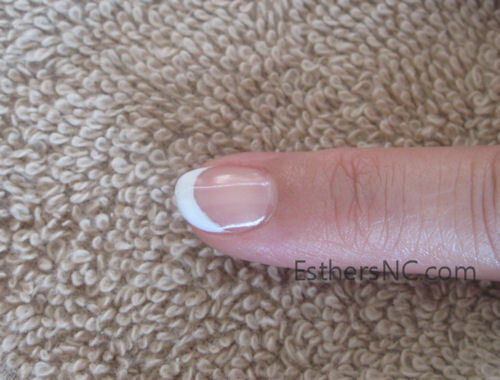 Here’s her French Manicure with Studio White and Clearly Pink. Using less than 99% Alcohol won’t show the full shine of Shellac. Make sure when buying, you get only the 99% Alcohol. For customers with weak or splitting nails who want to use Shellac nail polish, she advices to use Brisa Gel as a foundation before using Shellac. 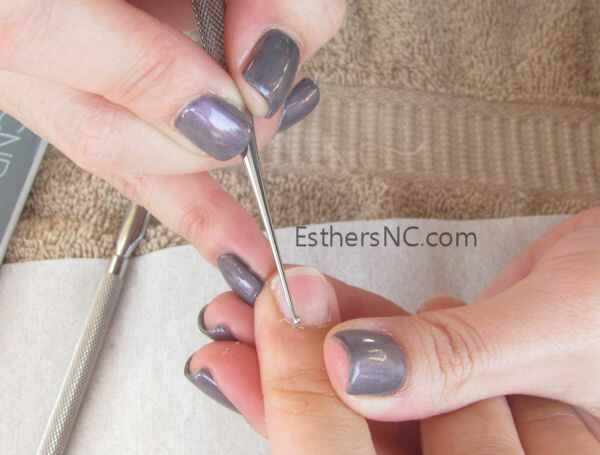 The purpose is to strengthen the nails before applying Shellac. CND Shellac Moonlight Roses over Asphalt. Michele was sporting this color. If you like this color, take a look at other photos above. Those purple nails are hers. That pretty red nail is Red Baroness. Two coats with CND Top Coat.